On receipt of the registration form, Motor Trails will send a confirmation/invoice that includes a down payment of 500 euros per registered person together with the remainder of the cost to be paid for the trip. The agreement comes into effect at the moment at which Motor Trails sends the confirmation. The down payment is part of the cost for the trip and must be credited to the Motor Trails account no later than two weeks after the date of invoice. The remainder of the costs must be in the possession of Motor Trails no later than six weeks before the start of the trip. In the case of late payment, the agreement is deemed to have been cancelled as of the date of six weeks prior to departure. Motor Trails retains the right to charge a cancellation fee. In this event, the provisions of Article 8 apply and any monies already paid will be deducted from the cancellation fee. Upon registration within six weeks before the start of the trip, the full cost for the trip must be paid directly. The cost of the trip is per person. The price includes only those services and conditions stated on the Motor Trails website. The cost of the trip is based on the prices, tariffs, exchange rates and taxes known by Motor Trails at the time of signing the agreement. 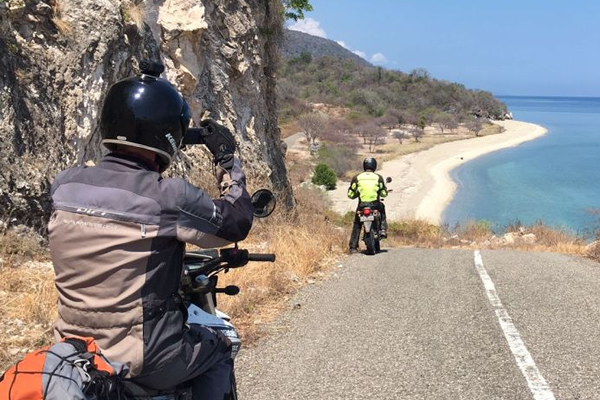 In the event of a change to the established prices, tariffs, exchange rates and taxes, Motor Trails reserves the right to alter the cost of the trip. This must be communicated to the participant as soon as possible, but no later than 14 days before departure. In the absence of any such communication, the agreed cost remains valid. If the change means an increase of more than 10% of the trip cost, the participant has the right to cancel the agreement - with a right to a refund of any monies already paid – up to a maximum of five days after receipt of the notification. The participant is obliged to take out travel, baggage and accident insurance for the duration of the trip. Trip cancellation insurance coverage is highly recommended. If a trip cancellation insurance policy is taken out via Motor Trails, the due premium must be paid together with the registration fee. The participant must be in possession of a valid passport. This passport must be valid for at least half a year after the end of the trip and must contain sufficient empty pages for the required visas. If the participant drives a vehicle during the trip, the participant must be in possession of a valid driving license and international driving license for the relevant vehicle category. The traveler must be in possession of the necessary proof of vaccinations. If the participant cannot join or complete a trip because of the lack of necessary documents, the participant is fully liable for all associated consequences. In the case of group travel, the required travel documents will usually be given to the participant on the day of departure. The required travel documents will be sent to the participant by post. Up to six weeks before departure, the participant can request changes to the agreement which will be implemented insofar as these are possible on the condition that the participant agrees to the new travel price and any costs arising from changing the flight ticket. In the revised travel price, the extra costs or refund of the altered travel items will be settled against the original costs plus an amount of EUR 50 per alteration and any administration costs. A. on cancellation up to 56 days before departure: the deposit plus any cancellation costs charged by the airline. B. on cancellation from 56 (incl.) to 28 days before the date of departure: 50% of the trip price. C. on cancellation from 28 (incl.) to 14 days before the day of departure: 75% of the trip price. D. on cancellation from 14 days (incl.) up until the date of departure or during the journey: 100% of the trip cost. All cancellation costs are supplemented, as applicable, by the cancellation costs of any issued tickets. Cancellation of the travel agreement by the participant must always be made in writing (by letter or email). We strongly advise you to take out a good travel cancellation insurance. This insurance will compensate the cancellation costs provided that the cause of cancellation is covered by the policy. Motor Trails has the right to cancel or alter a trip in grave circumstances only. Grave circumstances are those that might adversely influence the quality, safety or implementation of the trip. Insufficient participation is covered herewith. Motor Trails is obliged to notify the participant immediately of any important changes to or cancellation of the trip, informing them of the reasons thereof. Cancellation due to insufficient participation will normally take place no later than four weeks before the planned start of the trip. Notice of cancellation annuls the agreement. Upon cancellation, however, where possible, Motor Trails will offer as near an equivalent alternative trip as possible. If this offer is not accepted, the fully or partially paid trip costs will be refunded. In the case that grave circumstances arise during the trip, Motor Trails is entitled to cancel the agreement for the remainder of the trip. 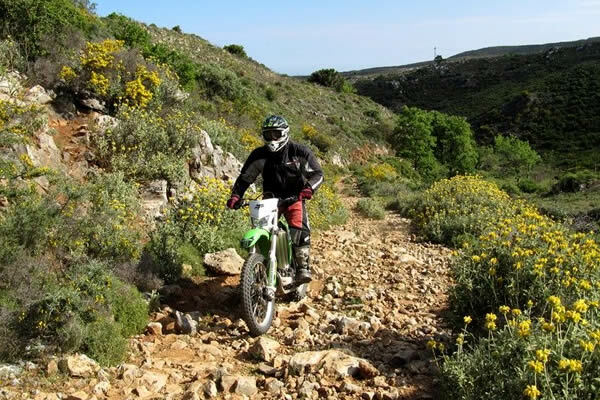 Motor Trails is obligated under such circumstances to arrange the return journey for the participant and furthermore to limit, as much as possible, any adverse consequences for the participant. If, as a result of the cancellation, Motor Trails saves any monies which are covered by the cost of the trip, each participant is entitled to their share of the amount saved. If part of the services to which the agreement relates cannot be delivered due to force majeure or other circumstances beyond the control of Motor Trails, Motor Trails will endeavour to provide as similar an alternative as possible under the existing conditions so that the trip can be continued. Without prejudice to the provisions in the other articles, Motor Trails is obliged to implement the agreement in accordance with the expectations that the participant may reasonably have based on this agreement. - damage, theft, loss or accident suffered by the participant, regardless of the cause or origin of negligence. If Motor Trails is liable for the damage suffered by the participant, its liability will be limited to or excluded in accordance with the applicable international conventions. Nor does it accept liability for damage for which a claim for reimbursement exists or would exist under a travel and/or cancellation insurance policy. If Motor Trails is liable towards the participant for diminishment of travel pleasure, the compensation will not exceed the cost of the trip. Without prejudice to the provisions in the other paragraphs of this article and Article 12, the liability of Motor Trails is, in all events, limited to a maximum of a single cost of the trip, unless there is intent or gross negligence on the part of Motor Trails. In that case, its liability is limited to 10,000 euros. Motor Trails cannot be held liable for photos, brochures and other reference material, where these have been issued by third parties. The participant is obliged to comply with all instructions of Motor Trails and any tour guidance it has engaged to promote the proper and safe implementation of the trip and is liable for all damage caused by unauthorized behaviour. Any participant who causes, or who threatens to cause, any nuisance, to the extent that a proper undertaking of the trip is severely hampered as a result thereof or else is made more difficult, can be excluded by Motor Trails from (the continuation of) the trip. All resulting costs are the responsibility of the participant. In this event, no refund will be given on the cost of the trip. The participant is obliged to be in a state of good health so as to be able to complete the trip, having assessed the severity of the trip and the risks thereof, without taking the risk of endangering their health. When in doubt about the expected severity of the trip, the participant should ask Motor Trails accordingly. When in doubt about their own physical and/or mental condition, the participant will consult a doctor and will obtain a written declaration of good health, sufficient for participation in the trip. Motor Trails is not liable for the consequences and/or risks of any poor health of the participant during the trip. The participant must sign a "health declaration" and return it to Motor Trails, prior to departure. The relevant statement is attached to the end of this document. Motor Trails will take all reasonable care to prepare the participant as well as possible for safe participation in traffic abroad by means of offering clothing advice, giving tips and discussing the traffic situations in advance. The participant takes part in traffic entirely at their own risk and Motor Trails is in no way liable for any damage resulting from accidents involving the participant. The participant is fully liable for any damage he inflicts on himself or on a third party. The traveler is fully liable for any damage to the vehicles rented to him insofar as this is incurred during the rental period and is not covered by the (insurance of the) rental party, or the insurance of a third party that caused the damage. The conditions of the vehicle insurance policies are published alongside details of the relevant trip. The participant is not obliged to drive all the routes given in the programme and/or changes that have been made to the programme by the tour guide, if the participant does not consider them safe. If, after careful consultation with the tour guide, the participant chooses to drive these particular routes, the participant themself is responsible for his/her own driving skills and any consequences resulting from this. The participant must sign a 'declaration of own risk' and return it to Motor Trails before departure. The relevant statement is attached as an appendix to this document. Motor Trails is required to provide help and assistance to the participant as necessary, depending on the attenuating circumstances. A. If the cause is attributable to Motor Trails, the resultant costs will be borne by Motor Trails. B. If the cause is attributable to the participant, Motor Trails is only obliged to provide help and assistance to the extent that this can reasonably be required of them. In this case, any resultant costs are then the responsibility of the participant. C. If the cause is attributable to neither the participant nor to Motor Trails, each person will bear responsibility for any injury sustained by them. For Motor Trails, this includes any additional use of manpower; whereas for the participant, this includes any extra accommodation and repatriation costs. Any complaints about the execution of the trip should, insofar as this is possible, be submitted in writing to the representative of Motor Trails at the place where the complaint arises. If the complaint is not resolved in a satisfactory manner, details in writing and with supporting evidence must be submitted to Motor Trails no later than two weeks after the completion of the trip. If the trip has not taken place, then a period of two weeks starting from the original departure date will apply. Claims on Motor Trails expire six months after the end of the trip or the original departure date. The expiry period for a claim is interrupted as soon as and if the participant has submitted their claim in writing.